Three stone ring featuring a single round brilliant cut diamond in a fine six claw open setting. 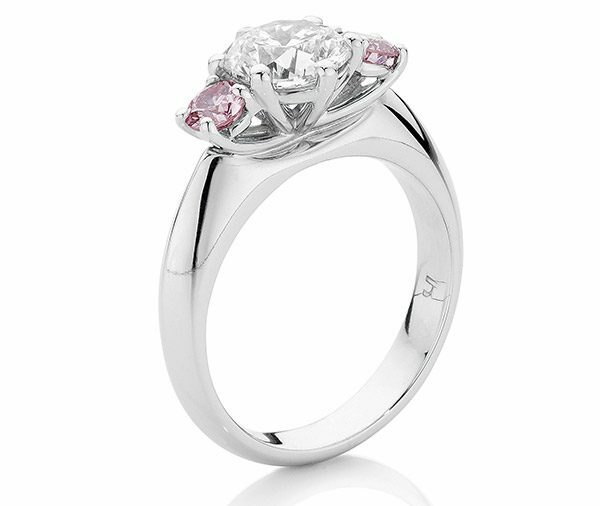 A pink diamond set in four claws sits either side on a french curve band. 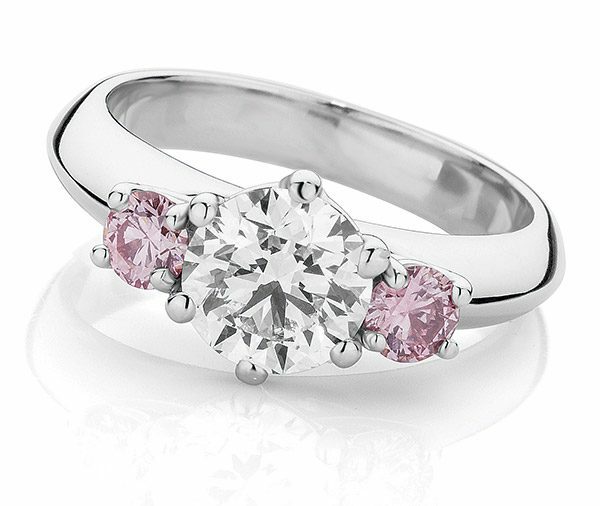 Model image features 1.20ct round centre diamond & two pink diamonds = 0.30ct. Available in platinum, 18ct white, yellow or rose gold or any other precious metal combination.